Shoppers visiting the McArthurGlen Designer Outlet Centre Swindon in the run-up to Christmas will be able to take advantage of a new park and ride service, which has been introduced to help ease congestion in the local area. Swindon Borough Council and McArthurGlen have joined forces to provide a dedicated bus service from the Wroughton Park and Ride site, off Croft Road and Pipers Way, to Kemble Drive via Wichelstowe. The service, which will operate at weekends from this Saturday (24 Nov) until Sunday, 30 December, follows the success of a similar service which took place over the weekend of the Great Western Brick Show at the STEAM Museum last month. The new bus service will run every 20 minutes, with each journey expected to last 15 minutes. The first bus of the park and ride service will depart Wroughton Park and Ride at 9am with the last return bus leaving Kemble Drive at 7.20pm. The temporary bus service will also cover the Christmas at STEAM event over the weekend of 1-2 December, which usually attracts between 4,000 and 5,000 visitors over the two-day period. 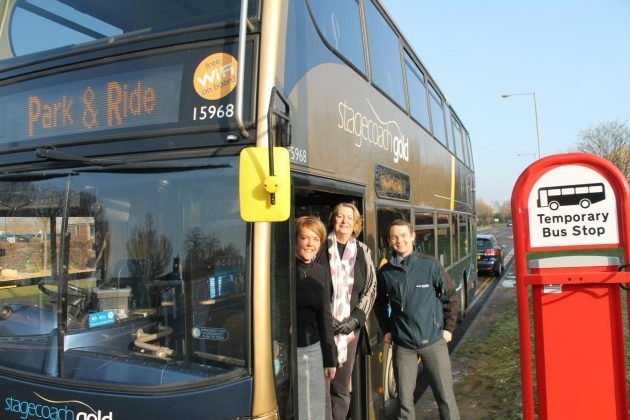 Stagecoach West will run the service, with each carload of passengers being charged a £2 return group fare. 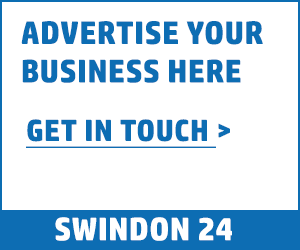 Clearly marked free-standing bus stops with timetables will be in place at the Wroughton Park and Ride and on Kemble Drive. The route bypasses both Old Town and the town centre and will take advantage of the bus priority in place at the Wootton Bassett Road-Penzance Drive junction. Signs advertising the service will direct motorists to the park and ride. The postcode for the park and ride is SN1 4RW. The Wroughton Park and Ride site is able to accommodate 670 vehicles, with the current Designer Outlet car park providing approximately 900 spaces. Councillor Maureen Penny, Swindon Borough Council’s Cabinet Member for Highways and the Environment, said: “I am really pleased we have been able to offer this service to shoppers, in partnership with McArthurGlen. “We have listened to local residents and have been looking at a number of options to address their concerns about congestion and this is one solution we believe will help with the problem. Tina Cumpstey, Centre Manager at McArthurGlen Designer Outlet Swindon, said: “Christmas is a wonderful time of year at McArthurGlen Designer Outlet Swindon, with high numbers of guests joining us to visit our Christmas grotto and purchase Christmas gifts for their loved ones. Stagecoach West Managing Director Rupert Cox said the bus operator was delighted to be working with Swindon Borough Council and McArthurGlen to provide the Park and Ride service. “Park and Ride offers a convenient and cost-effective alternative to driving around our towns and cities,” he said. Information on the park and ride service is available on the STEAM and McArthurGlen Designer Outlet websites.